Bangladesh strongly protests “irresponsible and false” allegations by the officials of the General Administration Department of Myanmar. Bangladesh has strongly protested “irresponsible and false” allegations by the officials of the General Administration Department of Myanmar implicating Bangladesh into a terrorist attack on a police post in Maungdaw Township on January 24. “The government of Bangladesh is utterly disgruntled. Bangladesh strongly protests such groundless and provocative accusations casting aspersions on Bangladesh,” the Ministry of Foreign Affairs (MoFA) conveyed Myanmar Ambassador in Dhaka Lwin Oo in a strongly-worded protest note when he was summoned at the MoFA on Tuesday afternoon.Myanmar did not provide Bangladesh with specific details and concrete evidence on the alleged terrorist elements and their activities. 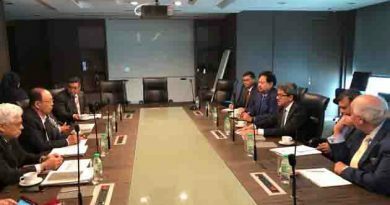 The government of Bangladesh urged the government of Myanmar to take effective measures to prevent any attempt aiming to associate Bangladesh with the internal political and security conundrum of Myanmar. When approached, Foreign Minister Dr AK Abdul Momen said Bangladesh has kept its border with Myanmar under “strict control” as Bangladesh maintains zero tolerance to any terrorism.Referring to Prime Minister’s announcement and its subsequent implementation, he said Bangladesh cannot be the hub of any terrorist organisation and it never gives shelter to any terrorist organisation. “It’s regrettable,” said the Foreign Minister mentioning Myanmar’s continuous fabricated and false information.In its statement, MoFA also said the allegations brought by Myanmar are found to be absolutely fabricated and baseless. “It’s affirmed that there was neither any border crossing by any group from Bangladesh nor any incident of firing from Bangladesh side towards any direction on that particular day. The allegation is fabricated and highly derogatory to the reputation of Bangladesh, a country that persistently strives for peace and stability all over the world,” the statement reads. 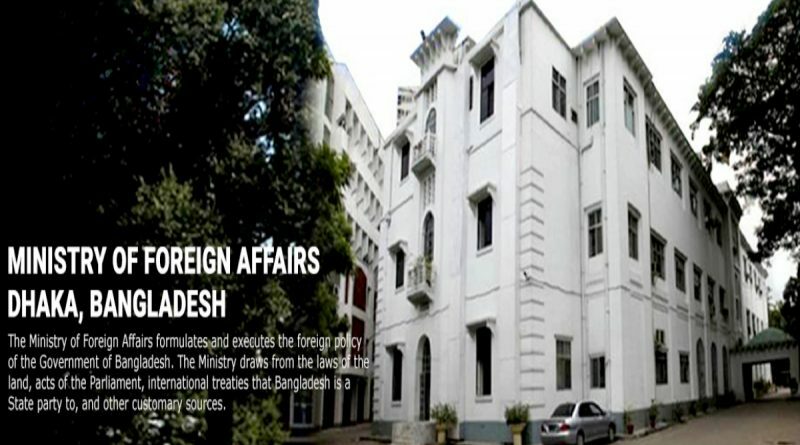 MoFA said the repetition of such serious and baseless allegations with varied versions could be construed as a deliberate attempt to malign Bangladesh and implicate a peace-loving country into the incessant internal conflicts of Myanmar.The government of Bangladesh under the leadership of Prime Minister Sheikh Hasina is firmly committed not to allow any dissident groups to use its soil for any purpose. The high level of alertness and effective preventive measures by the law enforcement agencies of Bangladesh in the line with “zero tolerance policy” of the government render it absolutely impossible to be present in the country or to launch any attack, said MoFA. “We reaffirm that there’s no existence of any terrorist group within Bangladesh. The security forces of Bangladesh alongside the border remain always vigilant and prepared to address any untoward incident that may affect peace and stability,” reads the statement. 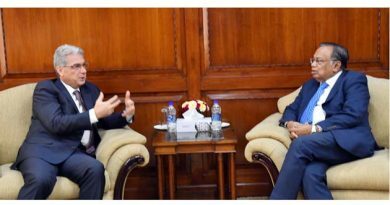 Bangladesh has taken all the possible measures, including comprehensive international engagements in counterterrorism, to fully implement its commitments, said MoFA. 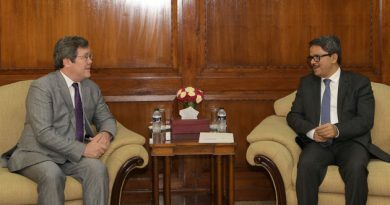 It said Bangladesh’s comprehensive cooperation in counterterrorism with some of the neighboring countries proved to be highly effective and globally recognised.Bangladesh has already proposed to engage in similar type of comprehensive bilateral cooperation mechanism with Myanmar to combat against terrorism. The government of Bangladesh, on several instances, had proposed Myanmar to conduct joint operation in addressing terrorist activities along the border area. Myanmar is yet to respond to the proposal of Bangladesh.MoFA said Bangladesh is acclaimed by international community for its unflinching commitment and bold actions in the combat of terrorism at national, regional, and global level. It said the security forces of Bangladesh have not only secured every corner of the country but also earned high esteem at global level for their utmost professionalism, outstanding competence, and invaluable contributions in world peace since long.“Bangladesh always stands ready to engage in comprehensive cooperation mechanism with any country, including Myanmar, in the combat of terrorism,” reads the statement. ← Bangladeshi nationals working in Malaysia are playing a positive role in the development of Malaysia says Outgoing Malaysian High Commissioner to Bangladesh .